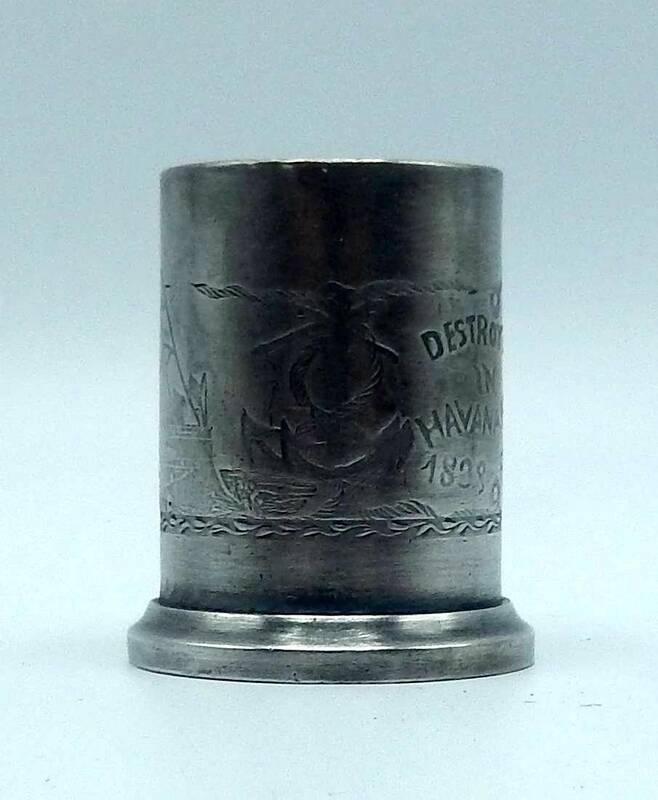 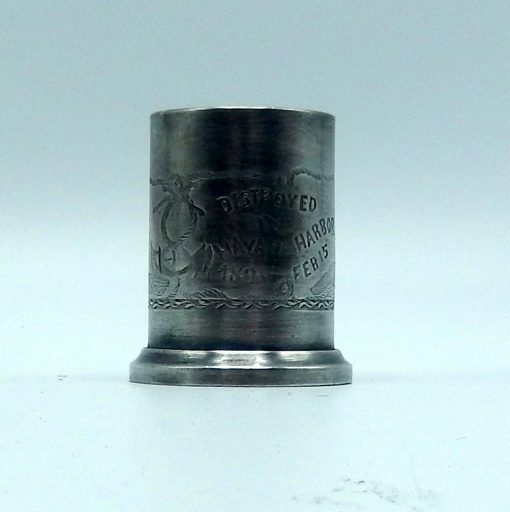 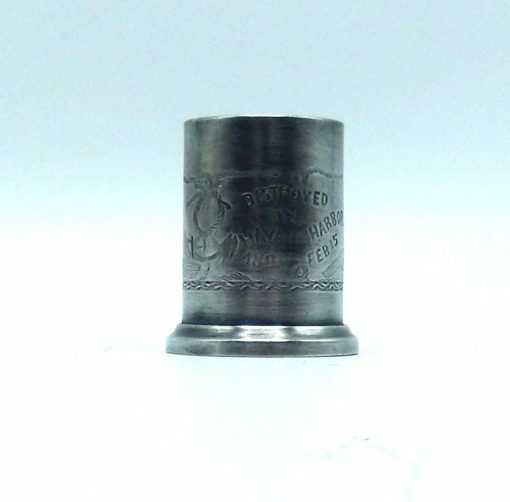 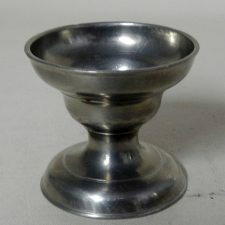 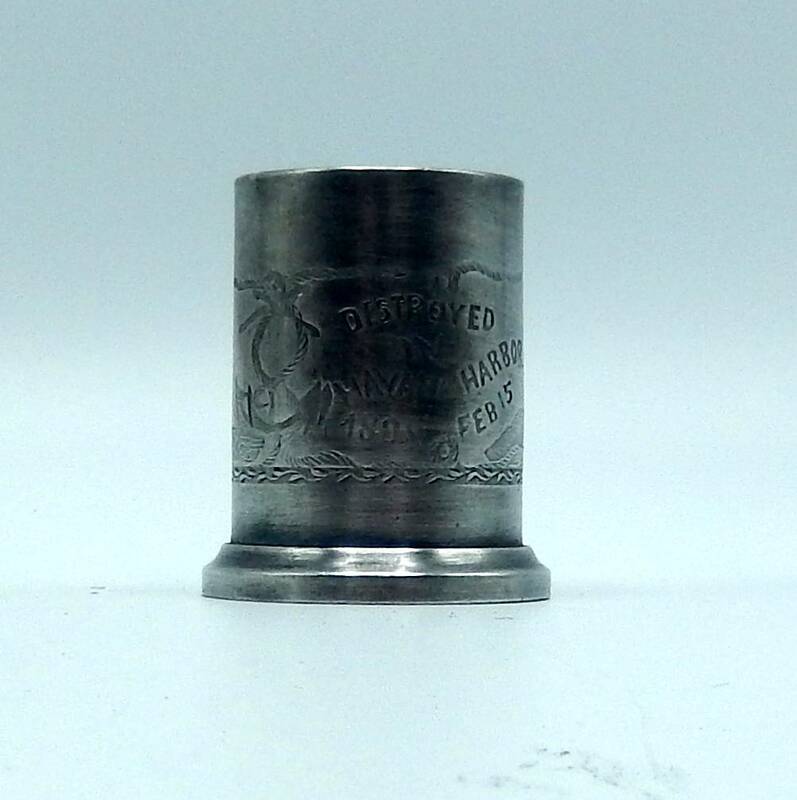 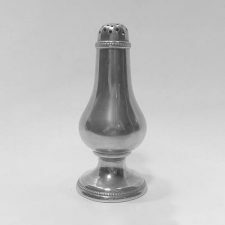 This 2″ high cylindrical piece of pewter is finely engraved. It pictures a battleship and under that is written “U.S. 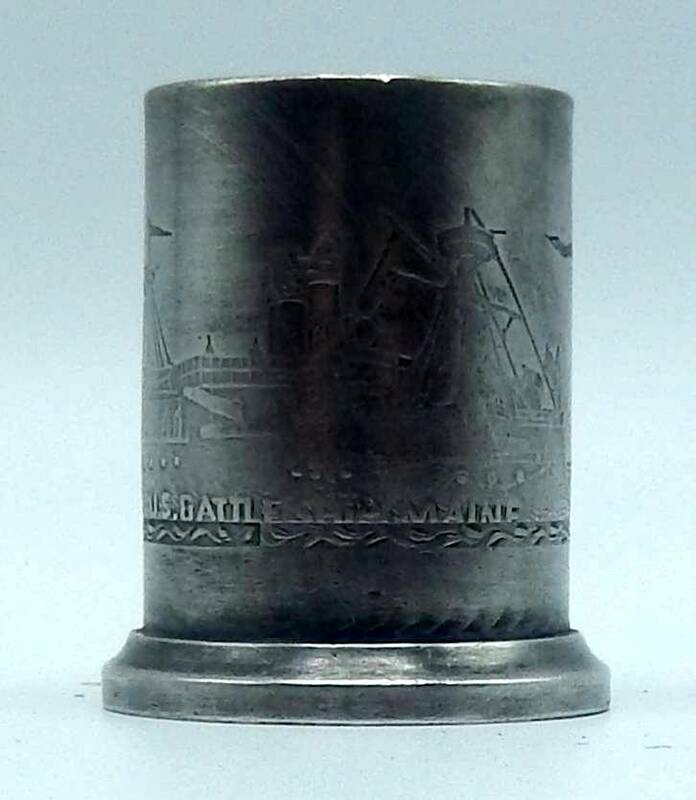 Battleship Maine.” The other side says “Destroyed in Havana Harbor, 1898, Feb 15.” Can’t tell you anything else about it but Spanish American military buffs should love it or those who like history. 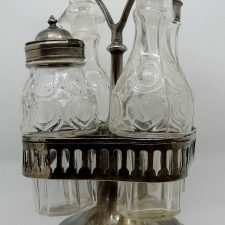 The engraving in very intricate and well done.